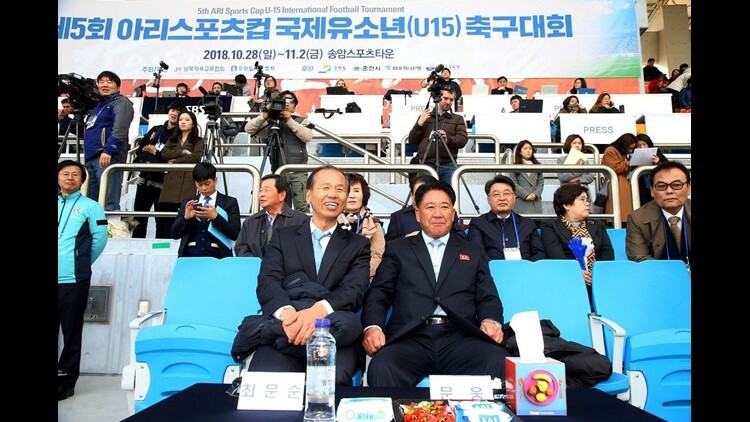 Gangwon Province Governor Choi Moon-soon and North Korean official Mun Ung at the Ari Sports Cup tournament in Chuncheon, South Korea on October 29. What may be easing longstanding tensions between North and South Korea? A passion for soccer. CHUNCHEON, South Korea – At this time last year, the situation on the Korean peninsula was looking dire. North Korea had spent most of 2017 conducting one provocative missile test after another and detonated its most powerful nuclear device ever, a hydrogen bomb, in September. On Twitter, President Trump threatened “fire and fury” and taunted North Korean leader Kim Jong Un, calling him “little rocket man.” Kim Jong Un fired back, bashing Trump as a “mentally deranged U.S. dotard.” The war of words seemed like it might spill over into a real war at any moment. But through the darkness, a glimmer of hope shone in an unlikely place: youth soccer. 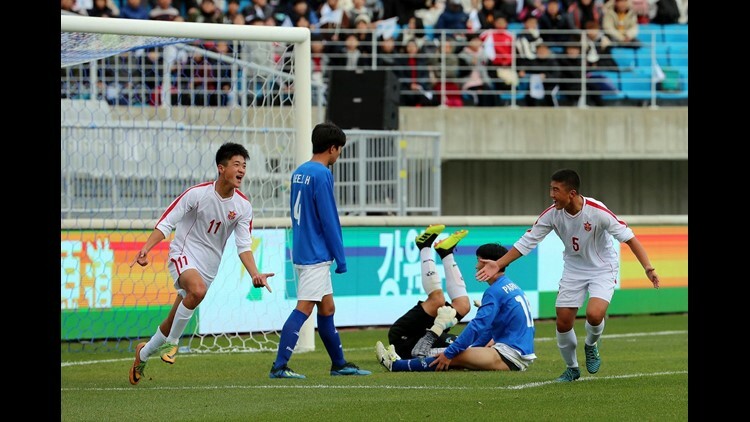 North and South Korea had cut off all official communications since 2016, but the two Koreas were still participating in the Ari Sports Cup, an eight-team soccer tournament for Under-15s being held in Kunming, China, in December 2017. 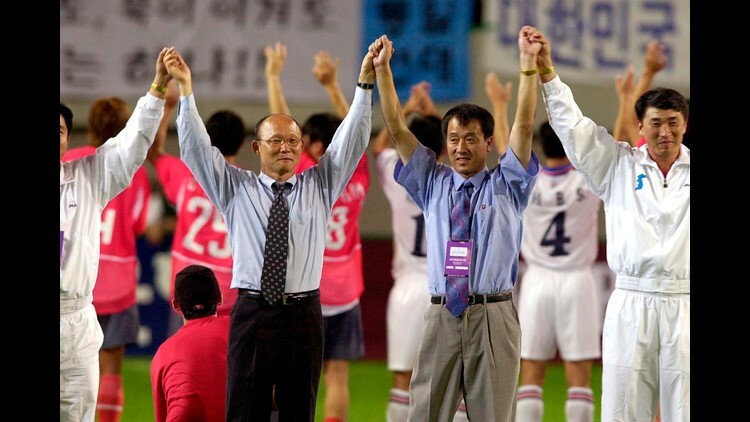 “Even though we had great tension between the two Koreas, we still continued to have these youth soccer games,” said Choi Moon-soon, governor of South Korea’s Gangwon Province, who accompanied a local team to the tournament. Gangwon Province would soon be hosting the Pyeongchang Winter Olympics and Choi seized the opportunity to make a push for sports diplomacy. South Korean President Moon Jae-in had publicly expressed his wishes for North Korea to join the Olympics but had no way of officially delivering the message. In Kunming, Choi had a closed-door meeting with a North Korean counterpart, Mun Ung, a vice minister-level official who heads North Korea’s April 25 Athletic Committee, a military-affiliated sports club. Less than two weeks later, South Korea – and the world – had their answer. In his New Year’s address, Kim Jong Un announced that his country would participate in the Winter Games. Shortly afterward, the two sides had their first official sit-down in two years to hash out the details. 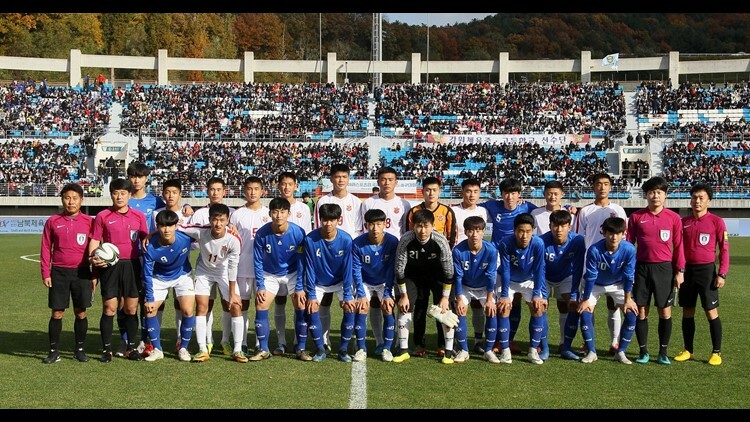 North and South Korean youth soccer teams on the field at the Ari Sports Cup tournament in Chuncheon, South Korea on October 29. “[The announcement] was so unexpected because there was so much tension then, unlike what is happening right now,” said Choi. In February, North and South Korean athletes marched into the Olympic opening ceremony under a unified Korean flag, kicking off what would be dubbed the “Peace Olympics.” It would be the first step in a remarkable diplomatic turnaround in 2018, highlighted by a historic summit between Trump and Kim in June. Recently, the Ari Sports Cup is being held for a fifth time, taking place this week in Chuncheon, a city in Governor Choi’s home turf of Gangwon Province, with eight teams from six countries participating. On Monday, a North Korean side of under-15s took on a South Korean team of players from the province. 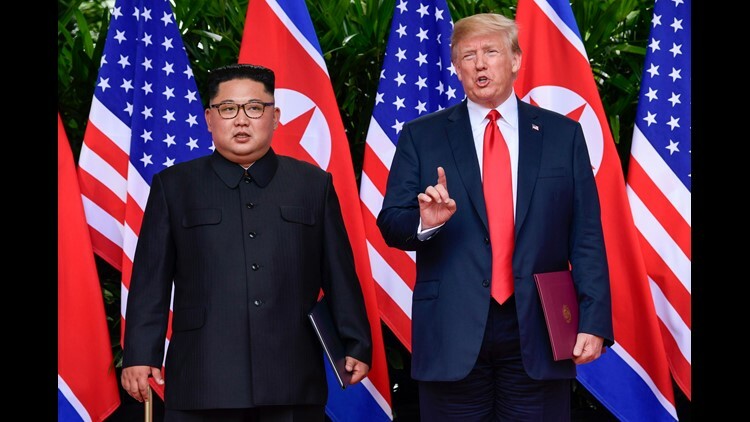 President Donald Trump and North Korea leader Kim Jong Un during their June meeting in Singapore. The North Korean team won the match 3-1, and while the competition on the pitch was spirited, the mood around the event was celebratory. Governor Choi and his North Korean counterpart Mun Ung sat next to each other in the stands of a nearly full stadium that shook with cheering fans and blaring K-pop music. A key organizer of the Ari Sports Cup, Kim Kyung-sung, head of the North and South Korean Sports Exchange Association, said that scenes like this had been the hope all along. “Sports exchange is the most effective way to ease tensions on the Korean peninsula,” he said. And the fact that the Ari Cup is a youth sports exchange may have been a crucial factor in keeping that last communications channel open, he added. “With the young players, it is less politically charged,” he said. 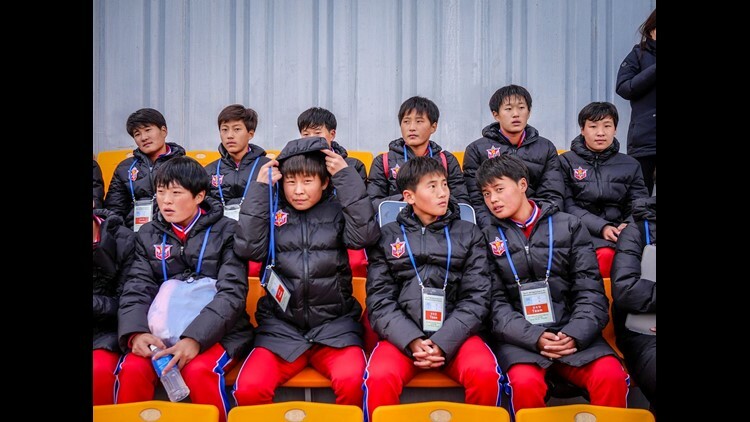 A youth soccer delegation from North Korea at the Ari Sports Cup tournament in Chuncheon, South Korea on October 29. For the players themselves, the game seemed all about having fun and meeting their neighbors from the other side of the divided peninsula. A North Korean player, Li Il Song, said that he didn’t feel much a great distance from players in the South. “I hope we can go back and forth and play more games and have a friendly relationship with each other,” he said. Kim Ga-un, a 15-year-old midfielder on the South Korean team, said he hoped the country would be united soon but mentioned one difference – the North team was bigger and stronger. “They're very speedy and strong," he said. "It felt like we were playing against third-year high schoolers." Players from the North Korean team practice year-round and are among the elite youth athletes in the country. Schools from around Gangwon Province came out to root on their classmates, with many students expressing a curiosity about the players from the North. The next Ari Sports Cup will be held in Wonsan, North Korea, in May of next year and Governor Choi is hoping to extend the power of youth soccer even further.